Royal Caribbean's humanitarian mission is rescuing about 2,200 people from San Juan on Thursday night, and will evacuate up to 1,000 more from the U.S. Virgin Islands before it reaches Florida next week. 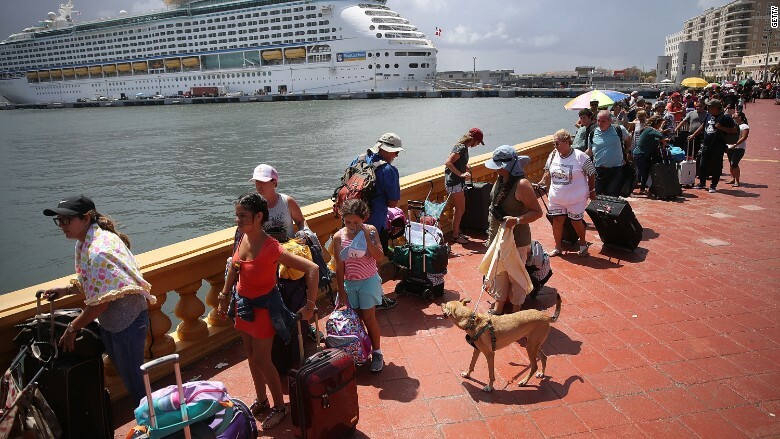 The cruise line canceled its September 30 Adventure of the Seas trip to use the ship to deliver supplies and help evacuate people from the island, which has been devastated by Hurricane Maria. Adventure arrived in San Juan on Wednesday. After leaving port with the 2,200 people, the vessel will make stops in St. Croix, where it will collect up to 750 people, and St. Thomas, where it will bring up to 250 people on board. The ship, which has room for 3,800 passengers, should get to Fort Lauderdale on Tuesday. 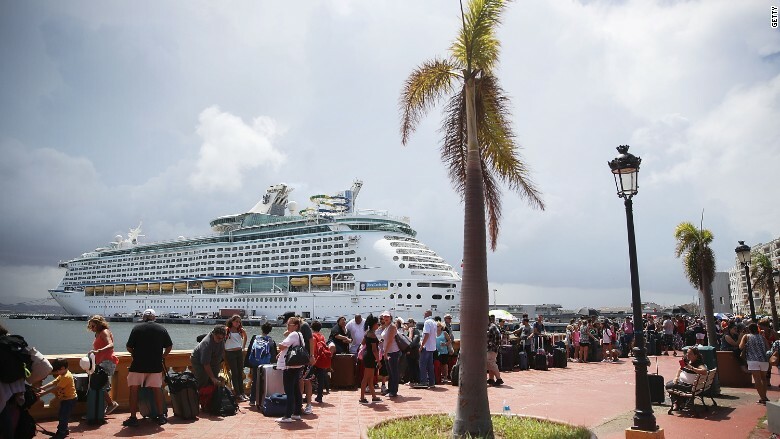 Of the 2,200 leaving the U.S. territory, roughly 1,300 are Royal Caribbean's "friends and family," said Jose Izquierdo, executive director of the Puerto Rico Tourism Company, the island's official tourist center. Izquierdo said the remaining 900 are mostly stranded tourists. Passengers were not charged for the trip. Royal Caribbean was not immediately available to offer more details on Adventure's trip. Some local residents who need special help are also being evacuated. "There's some elderly on board, there's some people with medical conditions that require attention and have been given priority," Izquierdo said. Members of Izquierdo's team went to hotels in the region to find travelers who needed help leaving the island. About 200 people exited Puerto Rico on a special Delta humanitarian flight, he said. On Wednesday, thousands of people were still stuck at San Juan's sweltering airport. Some were told that they might have to wait weeks for flights. Puerto Rico plans to house FEMA employees and other first responders in the vacated hotel rooms, Izquierdo said. 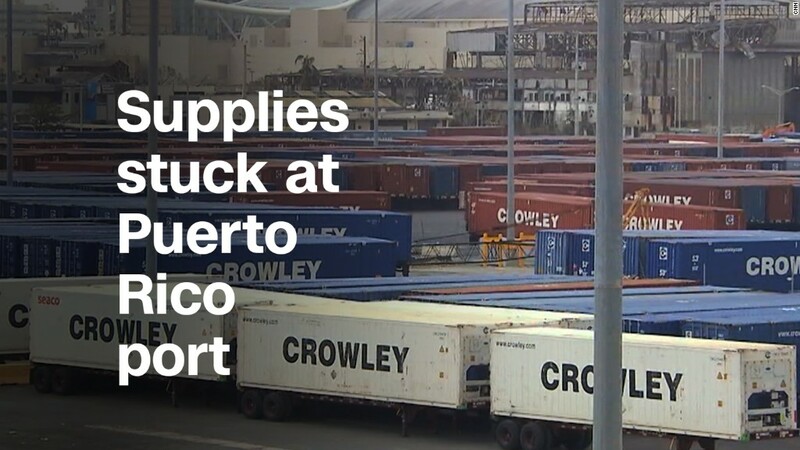 Royal Caribbean dropped off much-needed provisions, including bottled water and medical supplies, when it reached San Juan. It has promised to match donations of up to $1 million to help with Irma relief. Other cruise lines are donating funds and supplies to help victims. Carnival is coordinating with Izquierdo's team to deliver supplies and has, along with the Micky and Madeleine Arison Family Foundation and Miami HEAT Charitable Fund, pledged up to $10 million in funding and support for Florida and the Caribbean following Irma. Norwegian Cruise Line is donating $600,000 toward rebuilding efforts in the Florida Keys and the Caribbean, and has promised to match up to $1.25 million in donations to All Hands Volunteers and Happy Heart Fund's relief efforts from its guests, team members and partners. Izquierdo called on other travel companies to step up. "I'd like to take this opportunity to encourage other cruise liners and others in a position to help to .... emulate what Royal and others are doing right now," he said.